Technology in education is growing. Google allocated several million dollars for a dedicated Educational Apps department that encourages developers to send ideas for their Android platform in the Google Play store. Google has allocated so much money to this platform because technology is more than simply a tool for learning. It is an entire learning system. Technology can include a wide variety of software, hardware, apps and learning systems for schools and home use to enhance learning. It can focus on specific academic skills, life skills, social skills and more. How can parents help their kids at home using technology? Here are a few tips. Check with your child’s teachers to find out what apps they use on their mobile devices for schoolwork and research. Most schools allow students to bring their own devices, so this gives you the opportunity to work with your kids on their lessons at home too. Get a copy of the most recent standardized test results so you can discover areas in which students need remediation. Download apps that help correct these skills. Work with your kids by familiarizing yourself with the apps. Find out if your school has an afterschool tutoring program that can help with remediation. Discover how you can incorporate technology tools within this program. See if children can use their devices during afterschool or other remediation sessions. Bookmark educational games sites. Although mobile apps are the trend, plenty of educational sites still offer remediation of instruction online. Many games are fun and engaging, which means kids will play them longer. Many apps can help remediate learning or explain processes. For example, Video Science is a free app that Apple offers in its app store, which allows kids to view many popular new science inventions and excites kids about learning more. Evernote by Microsoft is a revolutionary app that allows integration of several forms of media, allows kids to keep a journal of projects and even enables sharing with others. Sight Words for Reading HD allows students to learn the meaning of words using the Dolch method of instruction. Inquire about how your school’s special education program is using technology. Many special education classrooms practice inclusion as a rule, which is an attempt to mainstream students into one learning environment with specific goals for kids with learning difficulties. One way this is done is with the use of technology. You can have it written into your child’s IEP (individualized instruction plan), listing specific technology tools or apps that will help with your child’s learning so that all teachers know. For some kids, school is easy. For most, it is a continual challenge to meet the new standards of Common Core as well as to prepare for their lives after school in a college or career. Teachers and schools are adapting the policy of allowing a higher emphasis on technology, due to its profound impact on slow learners, ability to coordinate it with state and national standards and its appeal to young people as a medium. 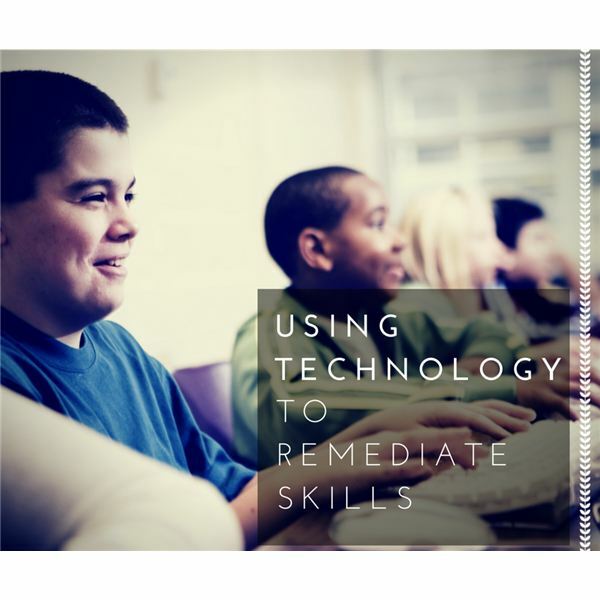 For information on how you can best help your child meet their education goals, contact your school counselor or administrators to learn more about their specific goals and technology tools for remediation.